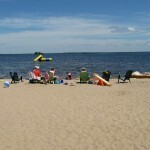 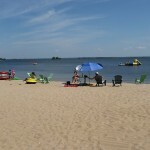 More than 500 feet of natural sand beach dominates our shoreline. 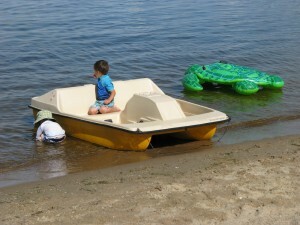 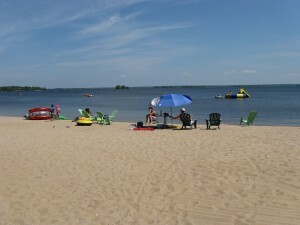 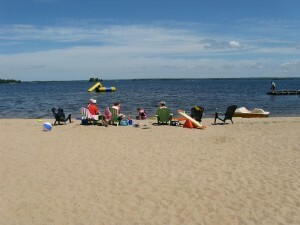 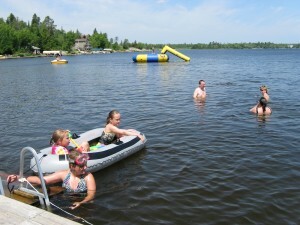 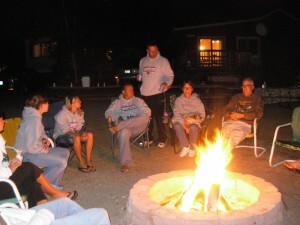 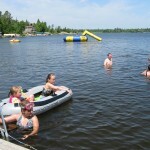 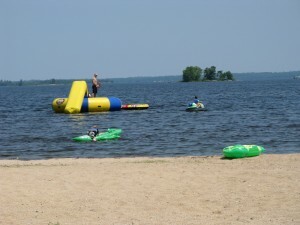 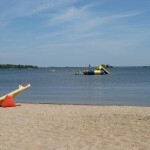 Tomahawk is the only beachfront resort on the lake. 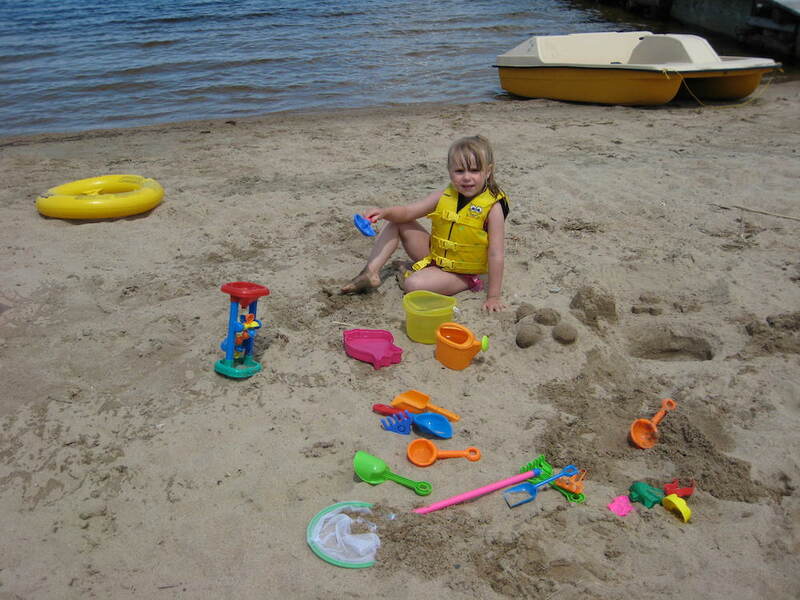 There’s plenty of room for everyone to tan, swim, play and build sand castles. 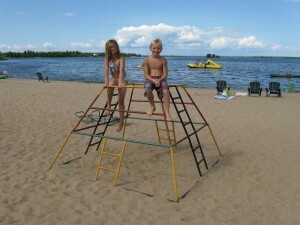 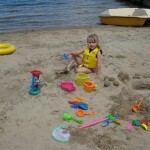 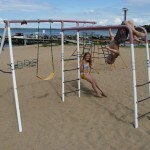 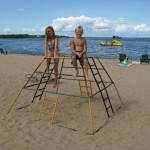 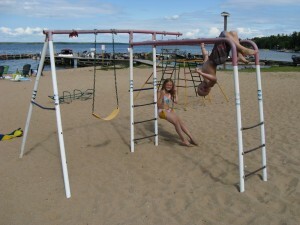 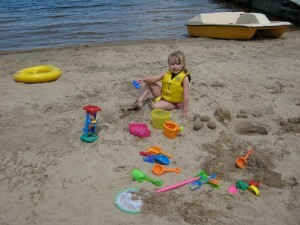 A playground right on the beach will keep your kids busy and close while you relax. 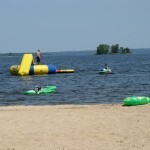 Shallow waters along the beach warm quickly and provide an excellent place for swimming while a Rave water park provides extra fun. 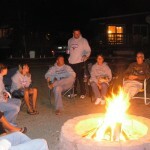 A beach side fire pit provides a place to gather, tell stories and cook tasty treats. 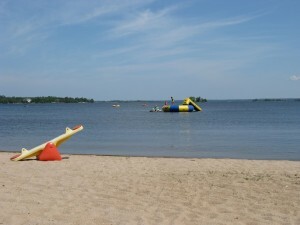 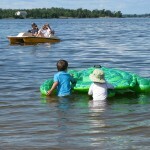 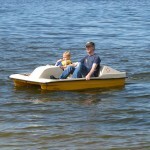 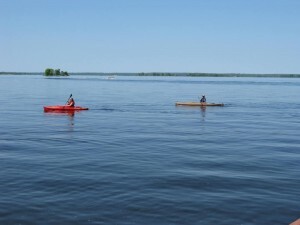 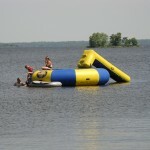 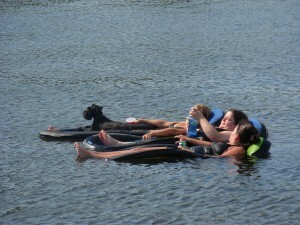 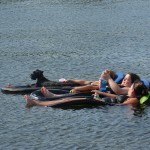 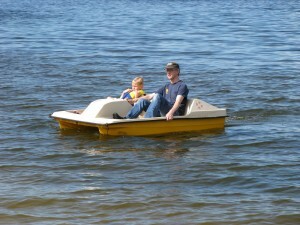 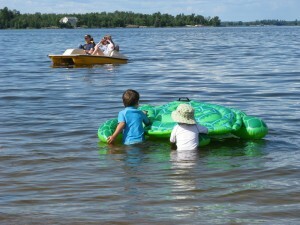 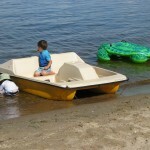 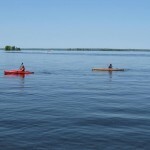 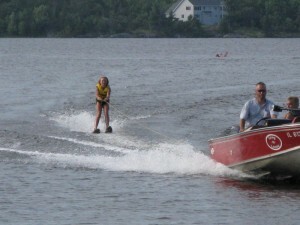 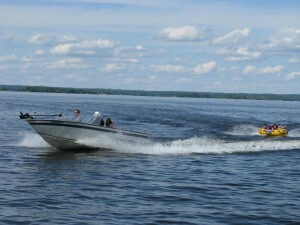 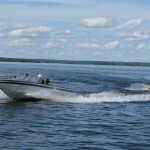 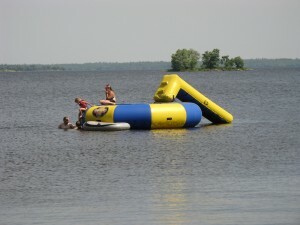 Other resort activities available include water sports like canoeing, kayaking, and paddle boating. 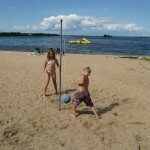 You can also play volleyball, basketball, horseshoes and tether ball. 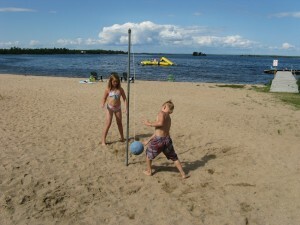 A large level lawn provides a place to play soccer, softball crochet and bocci ball.